Doing business in 21st Century is great. It’s harder than ever and the competition always lurks, hidden in the shadows, waiting for you to turn your back so they can tear you to shreds. One in every 1000000000 startups succeeds. CEOs are depressed more than ever and, on top of everything, the target audience finally started to understand what they really want and not what a giant piece of paper on the back of a building told them to want. But hey, we finally get to turn our business into a game, this time literally. Now, excuse me, I have to end this business meeting, I want to play some marbles. Gamification is the process of implementing game mechanics in a non-game environment in order to influence and induce desired behavior. The most important feature of gamification is the usage of game mechanics, meaning that gamification is not a game per se, but rather a business (among others, but I’ll focus on gamification in business environment in this article) concept shaped, mechanics-wise, similar to a game. As important as game mechanics are to gamification, they are only one third of the whole story, because, for something to be fully “gamified”, it must also include game dynamics, as well as game aesthetics. Now, this is starting to sound smart so let’s see what each of those means. Game mechanics – Rules and constraints of the game. Game mechanics define what actions are possible, what are the requirements for the game to end and other mechanisms ensuring that the game is played according to existing set of ideas and rules. Game dynamics – Run-time behavior of game mechanics in various contexts. The way the players put game mechanics to use in order to achieve desired results. Game aesthetics – Emotional response being induced by the gameplay itself. Game aesthetics usually encompass the emotion of joy and suspense, but any feeling being induced by the game could be considered to be game aesthetics. Any game must be describable through those three categories in order for it to be considered a game in the true sense of the term. All games have a given set of rules and ideas (mechanics) that are put to use (dynamics) in order to achieve desired result and induce desirable emotions (aesthetics). Well, gamification uses those three concepts and puts them in an environment that isn’t a game by definition, but it doesn’t make that environment become a game. How about some real-world examples? The first thing that comes to my mind when someone mentions gamification is the mobile app “Zombies Run!”. It’s not necessarily the most successful example, but it is without doubt my favorite. The app is designed to take you through a running program, but with an interesting twist to it. See, the whole app is designed to tell a narrative of a zombie outbreak, so, while running in real life, you are also advancing trough the virtual plot. All sorts of weird things happen, like your music player being interrupted with radio messages alarming you that you are being chased by zombies. The plot is designed to make you run in order to progress with the story, and by doing certain tasks (running) and following certain rules, you’ll get various achievements. It should be clear by now what gamification is. Take “Zombies Run!” for example. We have a normal-day, non-game, activity in the form of running and jogging which, as we all know, is healthy but, for most of us, excruciatingly boring. So, you add certain rules to the normal day activity, as if it were a game, and you place some achievements that can be collected upon abiding those rules and what you have is a gamified activity. Your everyday running routine suddenly becomes a mission. You are, basically, adding game mechanics to make your everyday activity become more interesting and challenging, i.e. it’s being gamified. Let’s take a look at another great example, this one not being digital. Last year, Doritos brand of chips was strengthtened by addition of new flavor – “Doritos Roulette”. What they did was deciding to turn everyday activity (eating chips, in this example) into a game. The logic behind “Doritos Roulette” is pretty simple – they filled the bags with a lot of normal chips and some extremely spicy chips. You could then play a sort of roulette with your friends in which all of you took turns in eating, risking eating extremely spicy chips. They gamified chips, however ridiculous that might sound. The campaign was a success and spawned countless of viral videos of people eating chips. You got your standard (albeit very loose) set of rules, emotional response that occurs when you avoid or eat a spicy chips or when someone else eats one. This is a pretty good example of how gamification is used. One of the most distinguishing characteristic of gamifications are the achievements, or various representation, both physical or virtual, of certain accomplishment. True, games can be played without any particular achievements, just for the sake of playing, but it’s the achievements that lift games to a whole new level, no matter how insignificant those achievements might be. You can brag about them, show them to your friends, make them stand right next to your avatar. Achievements are locked, meaning that there are some prerequisites that have to be met in order to unlock them. Let us imagine an app similar to the “Run Zombies!” app, but this time we are being chased by dragons. Let’s say there is an achievement called “dragon slayer” that is given only to those runners who run more than 30 kilometers in one day. Now, running 30 kilometers in a single day is no small feat, so that achievement is reserved only to the best and most enduring runners. By earning this, or any other achievements, for that matter, is a symbol of you being able to do task X to earn it. In other words – hey, I did X to achieve Y. The harder the X is, the more satisfying the feeling of achievement is. Unfortunately, more and more subjects fall in achievement trap and they overdo it, making their achievements rather redundant. What started as a rather shy style of marketing has now transformed in a whole movement that too often ends up in a “badge-trap”, thinking that giving badges to user repeat a certain action for 10 times will skyrocket their sales. Killers – focused on winning and competition. They will use all the tools at their disposal in order to achieve desired goals, including cheating. In gamification, they are primarily motivated by various ranks and/or leaderboards. Achievers – focused on winning and attaining desired status. They seek challenge in form of completing various tasks and challenges. In gamified setting, they are mostly motivated by achievement system. Explorers – they explore the game environment and what the game has to offer, driven by their need to create and discover the unknown. They are motivated by specific achievements, most of whom are not really a part of the game or are very obscure. Socializers – focused on socialising and creating bonds with other players. They are motivated by networking and social options, such as chat or a friend list. As you can see, the sheer amount of various personalities can be confusing, not to mention that most of the players exhibit a combination of two or more personality types. Now, consider your gamification plan. It can be aimed at your existing clients or potential clients, it can be aimed at your employees or at general public that never heard of you. Your product or service is specific to you and so is your target group with all their sociodemographical characteristics. Bearing that in mind, it’s easy to see that there are countless of variations that can influence the way you gamify something. You have to gamify something according to all those characteristics, and that is a daunting task. You have to make it fun, smart, relevant, engaging, dynamic, easy, hard, intuitive, secretive, cool, hip, crazy, traditional…It’s easy to see why games fail so often but it’s also easy to see why some games gain cult following, lasting decades. The success of your gamification will mostly depend on how well you know your audience. If you do, you’ll succeed in creating meaningful content. If you don’t, well, it’s game over for you. Oh, the badges. I could probably just write “badge collecting” instead of writing this article to explain what gamification is. As achievements become more and more prominent, they lose their importance. Achievement should serve as a representation of something players should be proud of. If you make a running app and start putting achievements for running every 100 meters, you might draw some people who just obsessively like to collect virtual badges, but the emotional impact of a certain achievement is gone. Again, don’t overdo it. If your gamification is based upon a certain achievement principle, make them count. Your target audience should feel the need to brag about getting certain achievements, or at least be satisfied with owning them. Once you figure out how to provoke that kind of mentality, you have mastered gamification. Cool, you turned your business in to a game. People are loving it, it’s fun and it’s addictive, but somehow it seems to perfect to be true. Well, that’s because most probably it is. The hardest part about gamification is to learn how to blend business with gaming. It’s already hard to make an interesting and addictive game, I don’t even have to mention how hard it is to make something as dull as business become fun and addictive. Make your business mater. Who is your target group? Who are your customers? One of my favorite examples of gamification happened in 2011, when a restaurant chain Buffalo Wild Wings Inc. launched a mobile marketing campaign. They analysed their strengths and th position they find themselves in. It’s a sports bar and a restaurant, so, assuming that the target audience has a knack for games, applying game mechanics to their core business seemed like a good strategy. They set up a series of challenges, asking people to complete them in order to earn points that could be exchanged for services in their restaurants. They took it to another level when they enabled users to create their own custom challenges. The whole campaign went viral and was a major success. What they did here is they put achievements that mattered, gave the users the option to engage themselves in the process and made their restaurants matter because they still were the central point of the whole game concept. It’s no wonder why the campaign was such a hit. This goes without a saying, I hope, but really, make a plan. Analyse the market, get to know the customers. Analyse your business as well. Make a connection between the two? Why do they love what you do? Why do they choose your products and not the product your competition offers? How old are they? What’s their lifestyle? Remember, your customers are not idiots. They know what they want and if you don’t give it to them, they will leave you faster and more merciless than your ex-girlfriend did. Get to know your target audience, show them that you care for them and provide CONTENT THAT matters. If you think that giving badges will draw everyone to click on your Facebook page, you’re in for a nasty surprise. If you have a loyal following, they probably take pride in the fact that they are your customers. Get to know what induces that pride and provide an environment where it can be manifested. Make it audience-specific. As always in business, try to get creative. I mean, we are talking about games here. You can make an app or you can make an offline party game or you can make a hybrid. It’s all up to you. You can do all sorts of things and crazy challenges to make the customers engaged, but remember to keep it simple. Most of (if not all) gamification is simple and casual and average players don’t dedicate a lot of time participating. Try to make rules and game mechanics as simple as possible without damaging the game aesthetics. It is a common misconception that rewards serve as a backbone of good gamification. That couldn’t be further from the truth. Technically, there probably is some kind of reward. The feeling of satisfaction is also a reward, in a way. Rewards could be both intrinsic or extrinsic. It is up to you and the strategy to find whether your gamification will be focused on providing extrinsic (discounts, coupons etc.) or intrinsic (induced emotional states) rewards, but remember that in the long run people remember and value emotions more than they remember and value possessions. Even if extrinsic rewards could draw more customers (which can also be a part of a strategy), it’s the intrinsic reward system that generates brand satisfaction and loyalty in the long run. 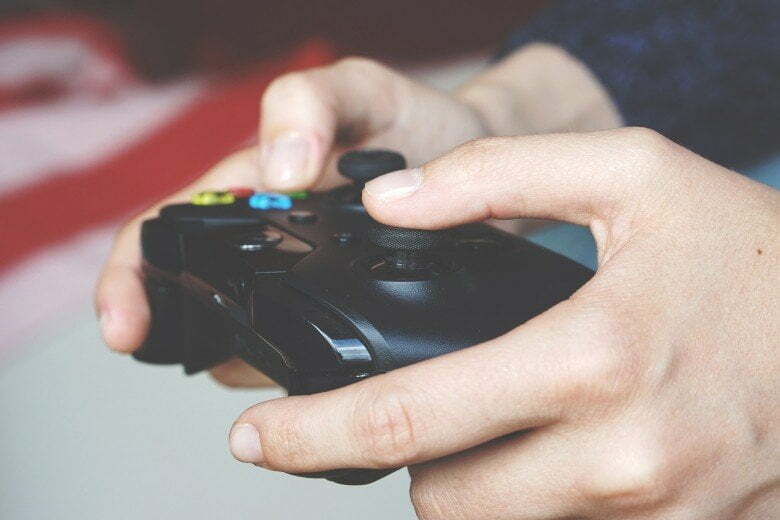 Of course, most of companies use gamification to boost their sales and motivate their target audience, but gamification can help your organization in many different ways. For example, you can use gamification to provide corporate training to you employees. Even better, gamification can be used (and is often used) as a form of teambuilding inside the organization. You can divide employees in small teams and give them tasks that they should complete, following specific set of rules. A well thought set of rewards should motivate the employees to engage in the activity. This is just an example, but all those forms of gamification could be used to enhance organizational standards and performance. A great example of this comes from Australia, where McDonalds Australia provides an online service aimed mostly at their “millenial” employees who care about workplace satisfaction, use modern technology and use social media to express their thoughts. Their new project called “Create Your Taste” sets the employees in a role playing environment of sorts, where they are given various situations and actions they must choose. Upon choosing a certain action, their personal statistics grow, depending on the choice made, presenting managers with creale psychological profiles.